It’s tough to get most kids to sleep and sometimes it's tougher to wake them. It’s tough to get most children to sleep and sometimes it's even tougher to wake them up. But what if there is an emergency? Fifty percent of fires occur at night, and a major risk factor for fatalities is simple: being asleep. Children between the ages of 5-12 are at greatest risk since they often don’t wake up to a smoke alarm siren. This is because children sleep longer than adults, spend more time in deeper stages of sleep, and need greater auditory stimulus in order to awaken. 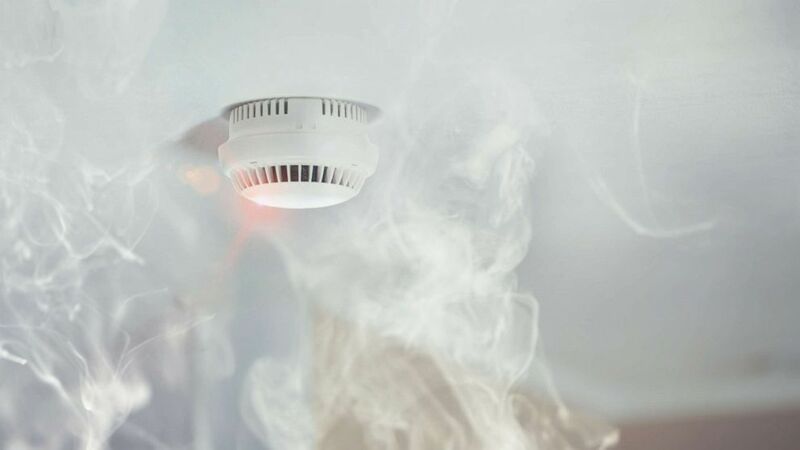 (STOCK PHOTO/Getty Images) A smoke alarm is pictured in an undated stock photo. Because children are more difficult to awake during fires it takes longer for them to escape leading to higher rates of injury and death. Researchers with the Center for Injury Research and Policy and Nationwide Children’s Hospital tried various alarms with different ways to wake kids. In the past, a recording of the child’s mother calling the child’s name had significantly outperformed traditional high-frequency fire alarms in a test, but researchers were uncertain if the alarms would work as well in a home setting. So investigators sought to answer this question. (STOCK PHOTO/Getty Images) A young boy sleeps in bed in an undated stock photo. With this study, researchers mimicked home settings to test an alarm that uses mom’s voice. The study had 176 children who spent an evening in the home mock-up and were monitored by EEG (the wires that monitor your brain in a sleep study). When the children went into the deepest stage of sleep, different alarms were sounded (mom’s voice with instructions only -- “Wake up! Get out!”), mom’s voice with name of child only, mom’s voice with both name and instructions, and a conventional residential high frequency tone -- the home fire alarm sound. Mom alarms were about three to three and a half times more likely to awaken a sleeping child, and about the same times more likely to get children to follow escape instructions. In order for children to save themselves from a residential night fire, they need to wake up and be able to follow instructions. A voice alarm is proven to effectively awaken kids and maybe one of the solutions for the morbidity and mortality associated with residential fires. Hopefully, the data from this study will result in the production of affordable voice alarm options to replace the traditional ones. Then, maybe, the parents could sleep as soundly as their children. Colette Poole-Boykin is a child psychiatry fellow at Yale Child Study Center and part of the ABC Medical Unit.